Concert Only: Grandstand seating: $5, Parking $5. Goodguys "Rodder Rep" Award, Bike Poker Run Awards, Naked Sculpture Award, Separate Class for Show Bikes, Club Participation Award, Earth Angel Children's Pick Award • Best of Show Award. MUST BE PRESENT to RECEIVE ANY AWARD! 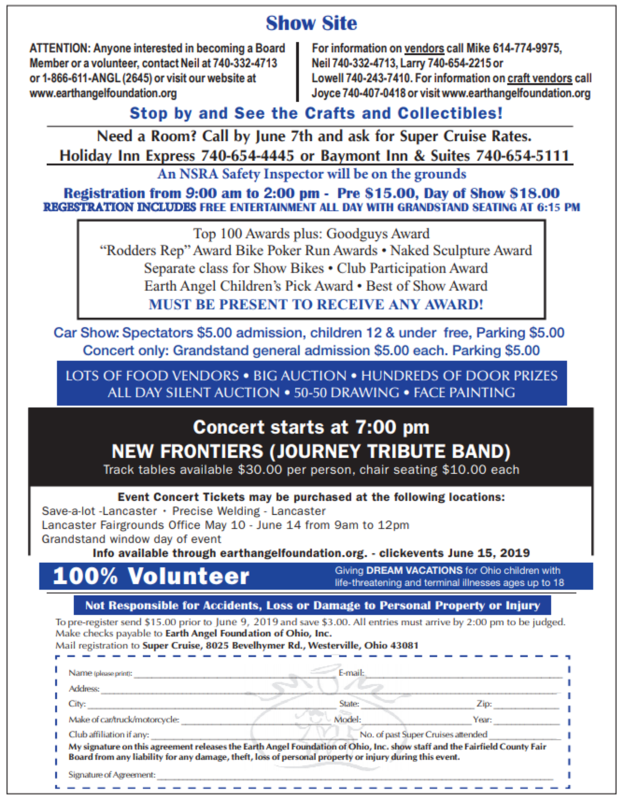 Please contact: Robb 614-203-5927, Neil 740-332-4713, Larry 740-654-2215 or Lowell 740-243-7410. All Entertainment Free to registered cruisers. General admission and table seating tickets also available. Fairfield County Fairgrounds is a Drug, Alcohol and weapon free facility. Concert entertainment thru Class Acts. 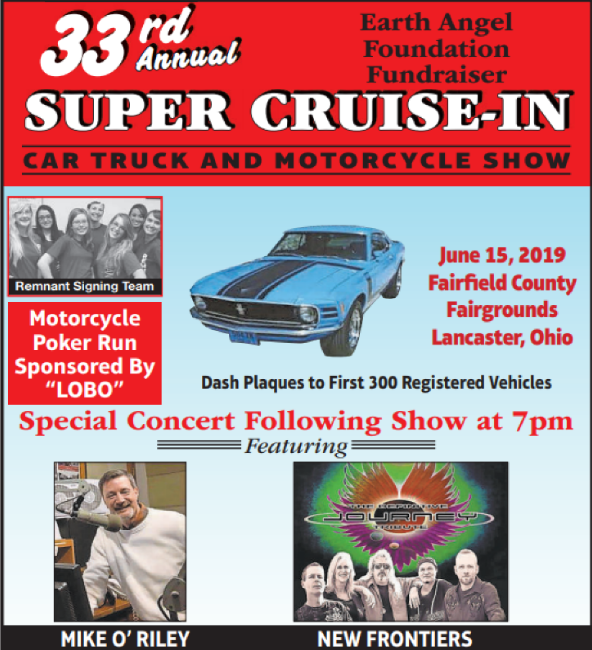 Show and concert to benefit Earth Angels Foundation of Ohio, Inc.
A limited number of tables are available by Reservation Only. Parking is an additional $5.00. May 11th thru June 15th from 9am-12pm, at the grandstand windows the day of the event.